Want to keep up to date on the campaign and election? Get email updates from Duncan Webb direct to your inbox. I am finishing my seventh year as your County Commissioner for Precinct 4 and during this time, the County has changed dramatically. When elected, the County’s cities and citizens were still experiencing the effects of the great recession, the County had experienced its first decline in its property tax base, and the County had several large unfunded retirement and health care liabilities, to name a few of the issues facing our County at that time. I promised my constituents if elected that I would work extremely hard and use my extensive business and legal experience to make Collin County more efficient, productive and effective. The retirement and health care liabilities were eliminated, reduced, or paid; saving the County and its taxpayers approximately $8 million dollars per year. The County’s overall tax rate has decreased 13.17% since I took office. Collin County is in our 25th year without a tax rate increase. The County has the highest number of residents per employee in the State. This number has increased 9.78% since I took office in 2011 and no other County is close to our ratio. The County has made substantial investments in technology and infrastructure so that our employees and customers can more effectively search, file, and retrieve records in our massive databases. This investment in technology eliminates a substantial portion of our paper management and storage costs. The County has increased funding for Sheriff’s patrol division; doubling the number of deputies on patrol, and adopting merit based pay incentives to increase training and knowledge of its staff. Through my leadership and connections on the Regional Transportation Council and Dallas Regional Mobility Council, Collin County has been allocated over $600 million dollars for new limited access roadways (“LARs” or “freeways”) in Collin County. This is not near enough, but it is a start. Through my leadership, the Texas Department of Transportation and the Regional Transportation Council are in the progress of completing long-range analysis of Collin County’s needs for transportation infrastructure as build-out occurs. I continue to push for a large transportation bond package to be brought to Collin County’s citizens. These funds will be needed to meet our state matches for these large projects and to assist our cities in facilitating improvements in the principal arterials which tie to our new LARs. Although I am very pleased with what we have been able to accomplish in Collin County, challenges persist. Completion of strategic transportation planning and funding, implementation of a comprehensive County wide transit plan for projected build-out and management of our growth of services (80 people per day moving here) are all challenges that need to be addressed. Experience and knowledge are critical characteristics that are necessary in our Collin County leaders if we are going continue to have the most efficient, effective and productive County in Texas. Since you elected me almost 8 years ago, I have gained the knowledge and experience necessary to continue making our County the best County in Texas and that is why I am announcing that I am seeking re-election in 2018 to continue to be your Commissioner for Precinct 4 of Collin County. I expect and have been told that I will have an opponent in 2018. He will be well funded by the state Democratic Party. Previously, I have always counted my friends and family to run and fund my campaigns. This campaign will require substantially more expertise, manpower, and funding than all of my previous campaigns combined. I intend to continue to work hard for you and hope you will substantially support me in my effort to remain your Commissioner for Precinct 4 of Collin County. How do you feel about Collin County? Do you think changes are needed? What do you love about the area? Why do you live here? Talk to Duncan. He’s interested to hear about your interests. Beth’s husband, proud dad of two daughters, current Collin County commissioner. 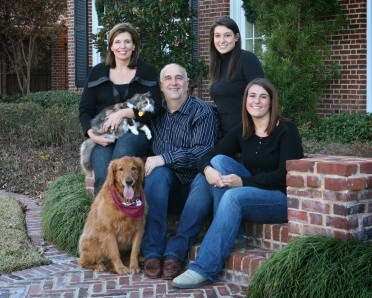 Duncan was born in Dallas, Texas, and has been a resident of Plano since 1983. He was admitted to the Texas Bar in 1980. Duncan’s goal is to keep Collin County family friendly and business focused.